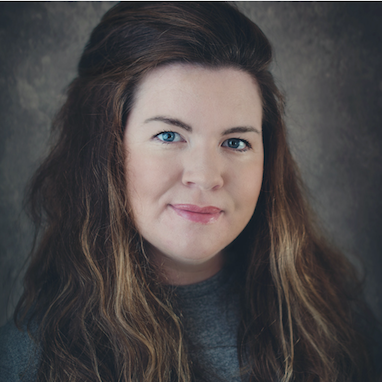 Hi my name is Aoife Millea ( Efa ) from Cleare Photography . I live in Ireland with my hubby Joe ( who is also the best assistant) and our 2 children Oisín and Sarah and fur baby heather . 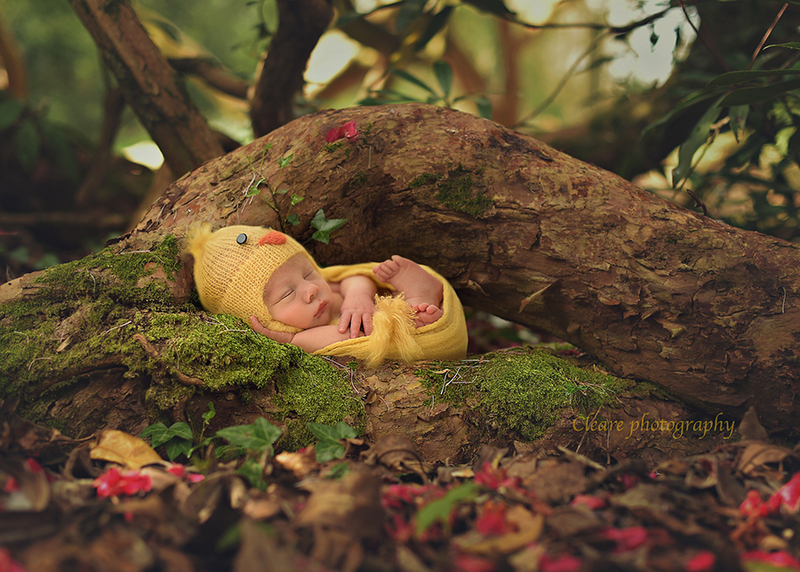 I run a busy newborn studio in my hometown and couldn’t be happier that i get to call this my job ! 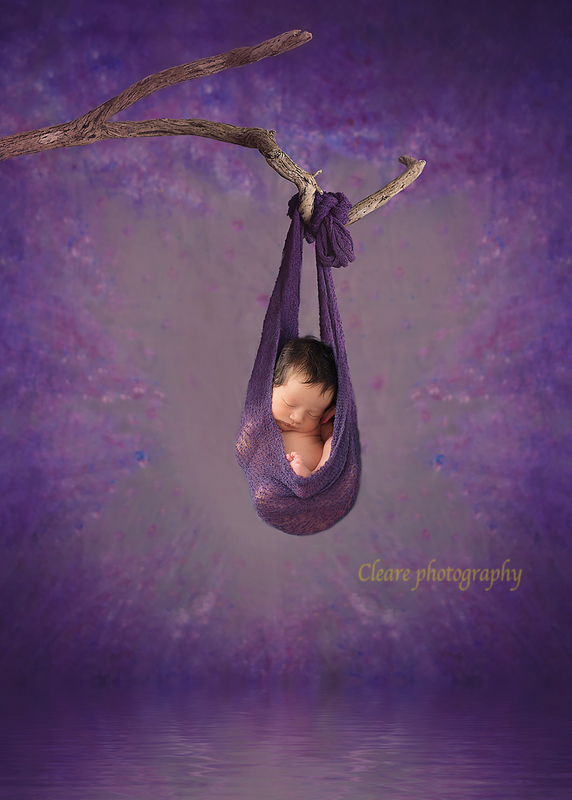 My passion is newborn composites and dreaming up new ideas for them, i like fun and colorful with a splash of magic . I love talking and am a little goofy. 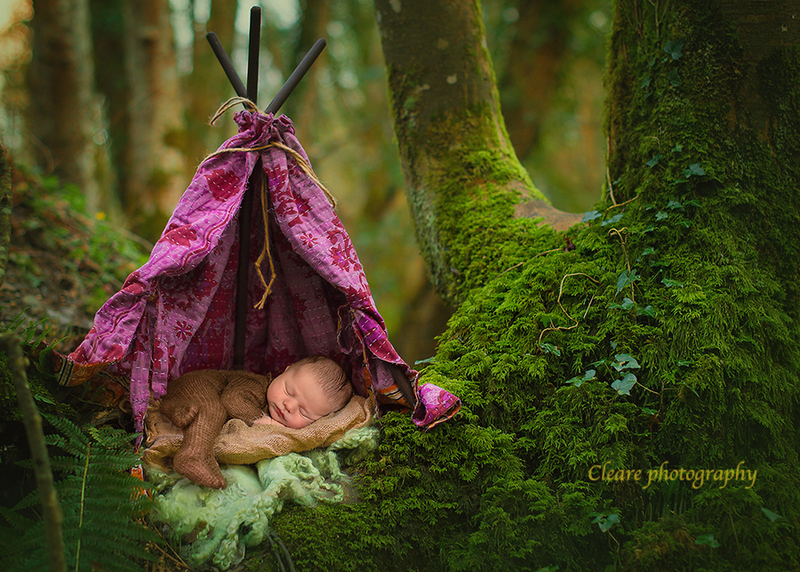 Aoife will photograph a newborn and teach how she poses, and lights for transitions and composite images. She will then show her editing process for creating composites. I have been shooting for hobby for 10 years and in business for 5 of those . 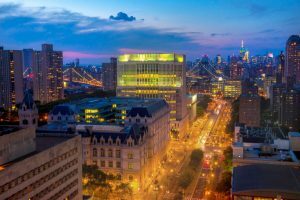 I started photography like many others as a hobby that i loved , i never thought for a second it would result in a business though ! if someone had asked me a few years ago would you ever want to have a business my answer would have been , nope , nerp , no way , lol . I am married to Joe who is also my assistant . We have been together since we were 16 ( now both 36 ) and have two amazing red head babies – Oisin 14 and Sarah 7 , they still keep us on our toes ! . When traveling we love to take them with us when we can and when we cannot we are lucky enough to have both of our parents living within walking distance . They are rather happy to stay at either grandparents homes as the treats and late nights are more frequent hehe . My favorite part of the job is being able to work with Joe and brand new babies every day , and that we never have to miss important events for our kids because we can schedule shoots around them . When i started photography i never planned on it being a business but with word of mouth and facebook it very quickly became a busy one , word of mouth for me is the most important – we treat every mom and dad and babies like they are the most important people in the world on the day of their shoot , making them feel comfortable , special , relaxed and cared for . 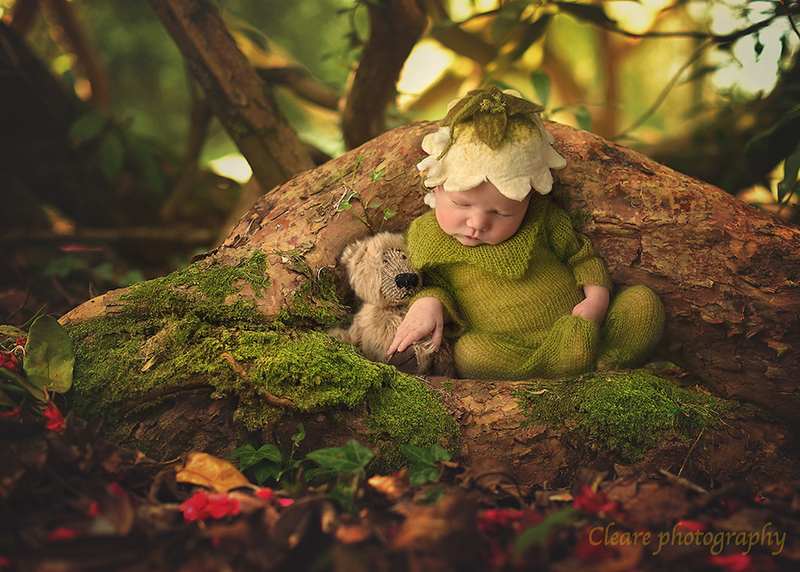 My favorite baby supplies are baby dream backdrops , the knitting bitty , the felted attic, felt fur , delicate things – photography props , mimosa house ( mike is the bees knees ) , off my hooks , woodsy wonders props , sew perfect props . My favorite prop is actually an old beat up shelf i got at a thrift shop for 8 euro , i use it for every shelf composite ! Hopefully my future looks busy , bright and healthy 🙂 with family , friends and lots of babies . My message to our children about life is to slow down, have fun and enjoy everything they do , respect people and be humble , but when its time to work – work hard and they can be whatever they dream to be . When i started out i wish i knew how to manage my time better, to balance family and work .